Busby likes to try to pee on every discarded Christmas tree we come across. 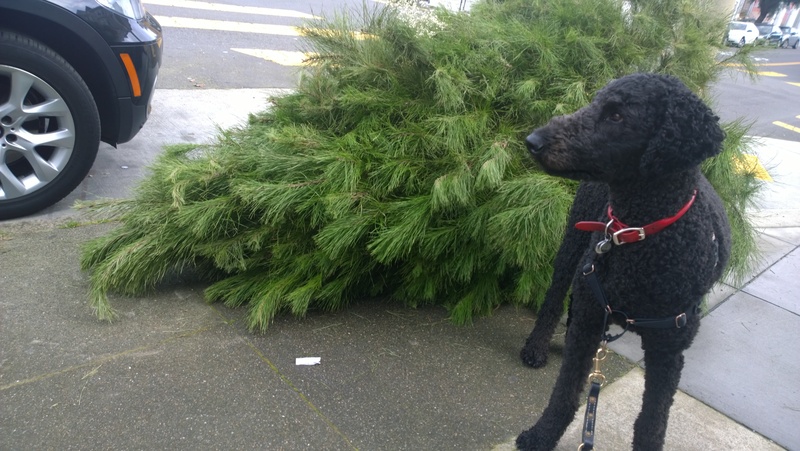 In San Francisco, you can drop your tree on the curb and it will get picked up the same day as your garbage, recycling and yard waste. Never miss a chance to pee!